Join us in this webinar where we discuss our webinar and interview development in GlobalNet21 and how you can help. You can join our discussion by registering at and this should take you onto our platform. https://zoom.us/meeting/register/47e3ca44ef18b46f8c34be5db4a05ad8 and your log on dertails will be then sent to you. 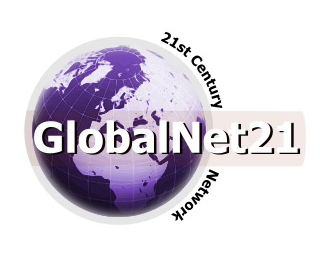 As you know in GlobalNet21 we do a number of online Webinars and Interviews. We engage local as well as global audiences in the work and ideas of those trying to make a difference. * Being a host on the webinars to help people engage with the speakers and comment. Then join us here to see how we can take our programme forward and improve and enhance what we do. Are you organizing Join Our Webinar Production Team? Are you an organizer of Join Our Webinar Production Team ?